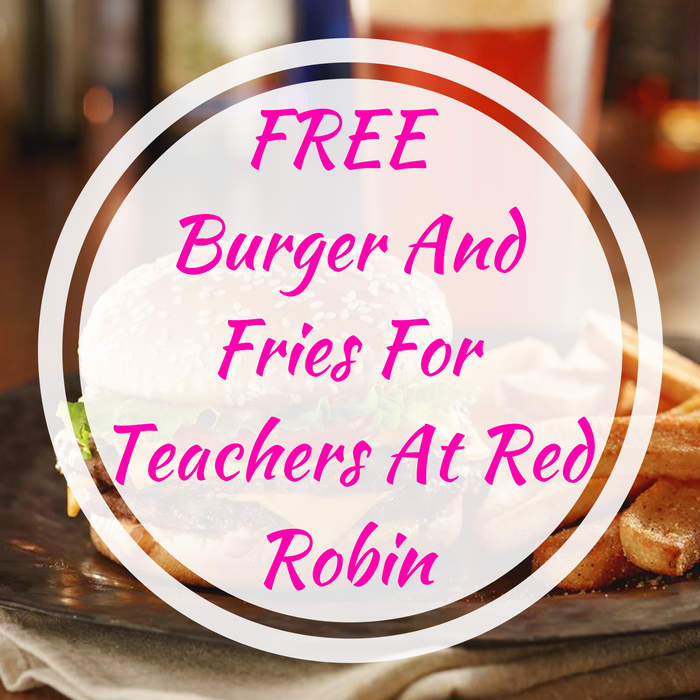 FREE Burger And Fries For Teachers At Red Robin! You are here: Home / Expired / FREE Burger And Fries For Teachers At Red Robin! On June 5 only! Head over to Red Robin where they will be offering a FREE Burger and Bottomless Steak Fries to all teachers, counselors, admins and education professionals – no purchase necessary! All you need to do is simply present your valid school ID! This is available for dine-in or to-go orders. Teachers can also sign up for the Red Robins Royalty Program and take advantage of special offers and deals throughout the year! Don’t miss this awesome FREEbie!